BATLEY coach Matt Diskin blasted referees for showing “quite obvious bias” in favour of full-time clubs after his side’s defeat to Toulouse. The French team came from behind to claim a 38-12 win over the Bulldogs, who also lost the previous week to Toronto and have won just one of their first eight Championship matches this season. After the Toulouse tie, the under-pressure boss was far from pleased with some of the decisions which he felt took the game away from them, particularly the second try of the second half which came following what was judged to have been a Batley knock-on. “It changed the whole momentum of the half and it’s an absolutely ridiculous decision,” said Diskin. “It’s a penalty to Batley every day of the week. The referee has seen it with a certain bias, perceived it as a knock-on and how he’s come to that decision I won’t understand in a million years. “I thought the second half was refereed with some quite obvious bias, and I think we’ve come across that in the last few weeks. “Referees we’ve come across are refereeing part-time teams differently to full-time and I thought that showed. There were a couple of key decisions that changed the momentum of the second half and once that had gone, we couldn’t get back in the game. “You try and speak to the RFL department at Red Hall and there’s no response, they don’t entertain you. So you’re left to try and deal with stuff yourself. “That’s not condoning the two players that got sin -inned and sent off (Tom Lillycrop and Lewis Galbraith respectively for dissent), as mouthing at the referee is unacceptable. I’ll deal with that accordingly and there’ll be fines in place for them. 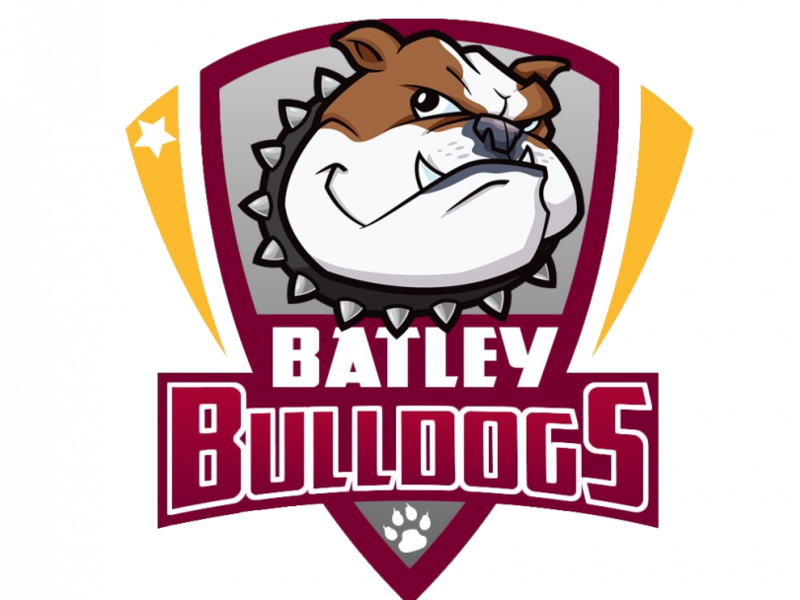 Batley led 12-10 at half-time and Diskin was able to grasp some positives from the first-half performance. “In the first half I thought we were good. We could have taken some more opportunities, and we had a couple of people step out of systems in defence, but we did some decent stuff. “I thought we controlled the ruck and the tempo really well, but in the second half we were down to 12 men for 20 minutes of it and it’s going to be tough to control the rucks. Toulouse took advantage of that overall. There is some respite for the Bulldogs from their poor league form this weekend as their Challenge Cup campaign gets underway, with amateur National Conference side Lock Lane providing the opposition at the Fox’s Biscuits Stadium (Sunday, kick-off 3pm) in the fourth round. Diskin says that the Castleford club should not be underestimated, although he admitted that there will be changes to his line-up. “I’ll try and give game time to those boys who haven’t had much going into the Easter period,” he said. “But Lock Lane are a quality amateur outfit, they’ve got a couple of players that have got previous with Batley as well. Young Danny Sowerby is playing down there and we know what a talent he is. The Cup clash is followed by games against Widnes Vikings, Dewsbury Rams and Swinton Lions in the space of eight days, and the Bulldogs boss knows that they need more wins on the board soon. He said: “The Easter period is a big period for us. We’ve got to come out of that with some success, given the poor start we’ve had to the year.